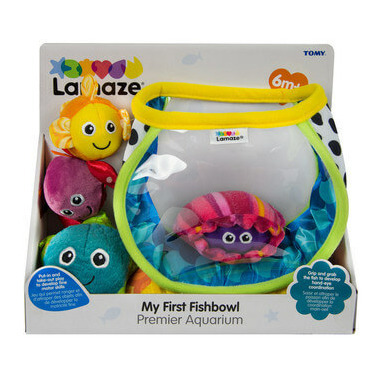 Send your baby on an under-the-sea adventure of colours and patterns with the Lamaze My First Fish Bowl. 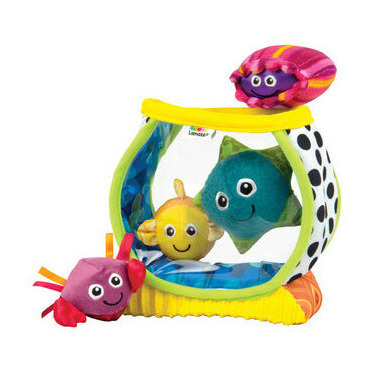 A creative version of the put-in, take-out concept, this fun fish bowl includes four sea creatures that each make a different sound - crinkle, rattle, jingle, or squeak! These easy-to-grasp creatures help develop hand-eye coordination and are full of textures for baby to explore.